Amazon has spent the better part of two decades wreaking havoc on the publishing industry, which has been decimated by digital innovation. Today’s announcement is the next in a long line of plays — from the massive sales of discount books to the pioneering of ebook sales — to develop a world where traditional publishing houses are obsolete, for better or worse. 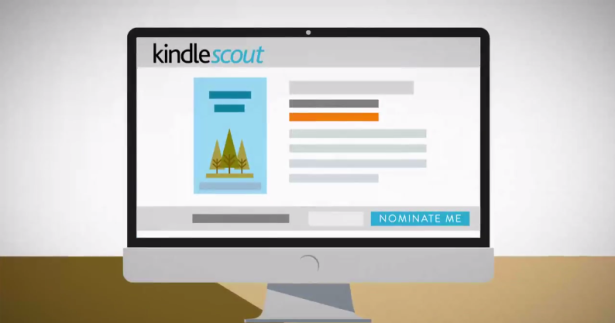 This morning, Amazon launched Kindle Scout, a platform for upvoting potential book pitches in an effort to chose the best one each month. It’s like a fusion of Kickstarter and Product Hunt that takes the best qualities of each in order to crowdsource jobs of low level editorial assistants and readers who discover upcoming publishing talent. This entry was posted in Uncategorized on October 28, 2014 by lanslot84. This entry was posted in Uncategorized on October 16, 2014 by lanslot84.